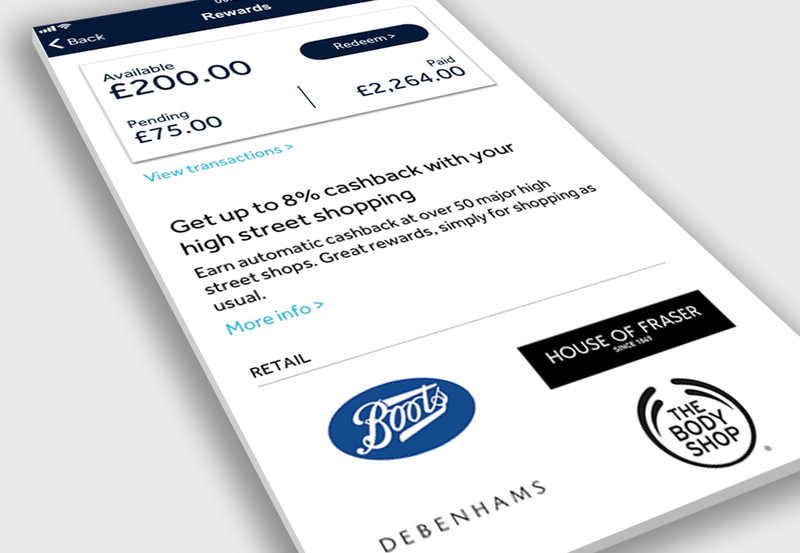 This project involved the design and build of a cashback reward scheme for responsive web, iOS and Android. The system allows customers to automatically earn cashback when spending at participating retailers. The product can be seen by visiting Fairfx.com or by downloading the FairFX Travel Money app from the Apple App Store and Google Play. FairFX wanted to introduce a cashback rewards scheme for customers that use their pre-paid currency cards. The system had already been in operation for several years with a sister company. My role was to redesign the customer experience and build the functionality for FairFX customers. As the core functionality was already in place, my first step was to get an understanding of how it worked, and how we were going to integrate with FairFX systems. This gave me an understanding of what the requirements and restrainsts were from a UX perspective. 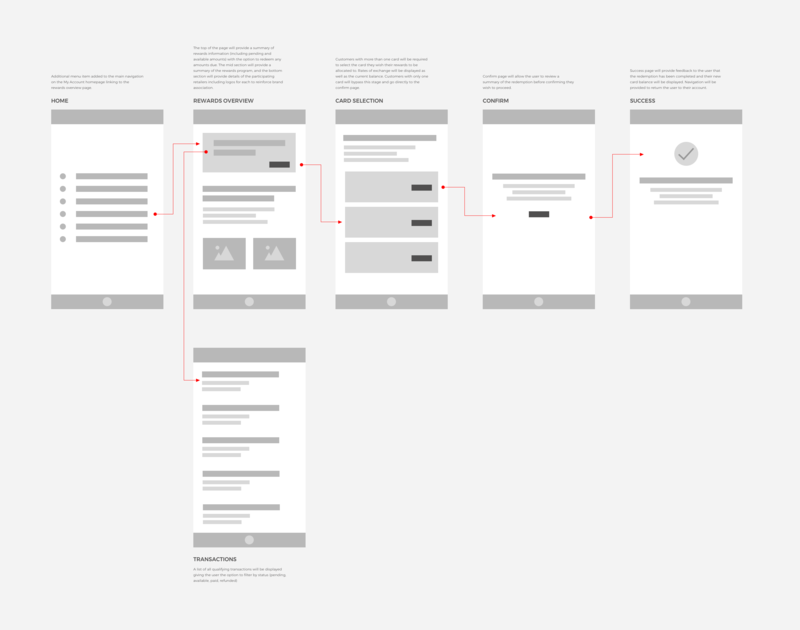 I started by drawing rough sketches of the site architecture and experimenting with different user flows. I settled on a simple structure centred around a ‘Rewards’ page, from where a user could get an overview of their rewards, link to details of their transaction history and redeem any rewards due. Next I added a level of detail to the design of the system. 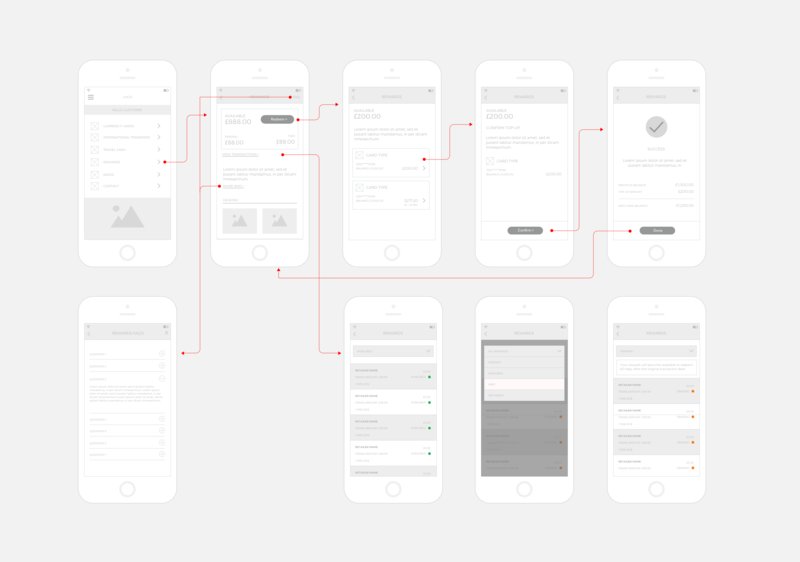 Using greyscale wireframes, I fleshed out the details of the userflow and interaction design. 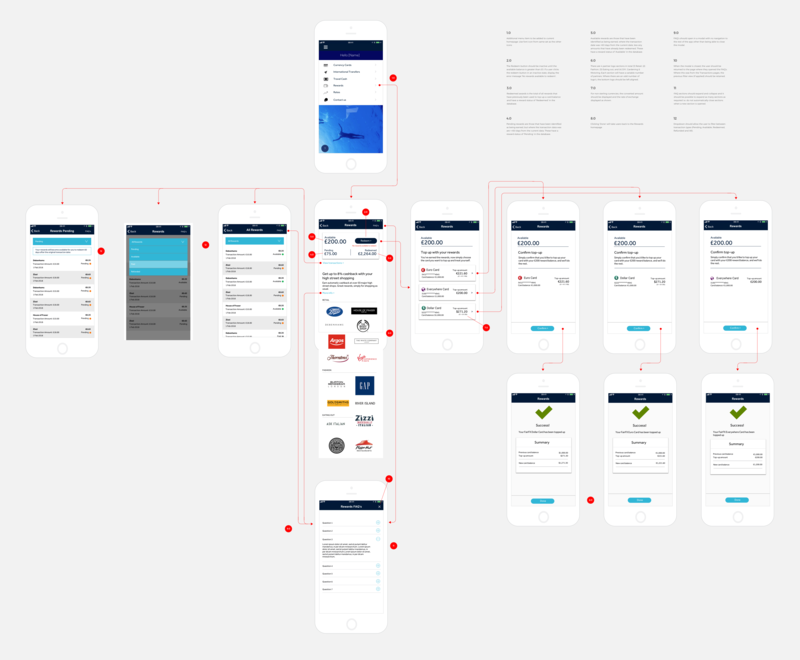 I built an interactive prototype using a Sketch and Invision workflow and carried out some user testing with colleague and stakeholders. I made iterations to the designs based on the user testing feedback, especially in relation to the card selection page which I simplified to reduce the number of clicks in the process. Next I produced a hi fidelity mockup and again turned this in to a click-through prototype. The use of the prototype at this stage was for demonstrating the final designs to stakeholders and communicating the details of the functionality to the development team.